Originally from Philadelphia, PA, Dr. Shick has been providing patients with much-needed dental care since 2000. He attended both the University of Pennsylvania and the dental school at the University of Pittsburgh, where he earned his Doctor of Dental Medicine. A member of the Academy of General Dentistry, Dr. Shick has completed extensive aesthetic dentistry training through various programs, and he was named as the top dentist in NYC from 2010-2011. He’s very involved in the NY School dental assisting training program, as well as high school internship programs and hygiene lectures at public elementary schools. He was even featured on the Dr. Oz show in 2011! One of his favorite aspects of his job is helping patients smile with confidence again; their appreciation makes it all worthwhile! Dr. Shick is married with two young sons who are two and four years old. He is a big fan of the Philadelphia Eagles and Pittsburg Steelers, as well as the New York Yankees and Philadelphia Phillies! 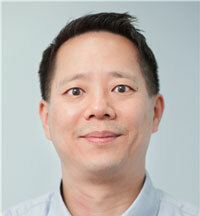 Having first joined the practice in 2010, Dr. Yao specializes in periodontics, providing patients with deep cleanings, gum surgery (both hard and soft tissue), and dental implants. She first earned her Bachelor of Science from Georgetown University before going on to achieve her Master of Science degree from New York University and her Doctor of Dental Medicine degree from Boston University. Additionally, she earned her Certificate in Periodontics from Columbia University. Dr. Yao is very detail-oriented and meticulous when it comes to her work, and those qualities help her precisely and thoroughly treat patients’ gums. She loves getting to meet so many interesting people, as well as working alongside the supportive and helpful staff! When she’s not busy at work, Dr. Yao enjoys swimming, tap dancing, and traveling. 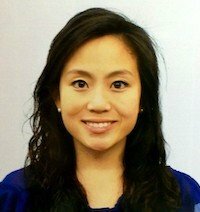 Dr. Nicole Lam was born and raised in Queens, and stayed in New York for her bachelor’s degree in economics at Barnard College. She went onto complete a post-baccalaureate program at CUNY Hunter College. She completed her dental education and training at the prestigious University of Pennsylvania, where she received her Doctor of Dental Medicine degree. She returned to New York to complete a general practice residency at the Brooklyn Hospital Center. She spent this year working on cosmetic cases, root canal therapy, advanced perio treatment, and removable prosthetics. Dr. Lam believes in keeping her patients at the forefront of their treatment. She is meticulous by nature, as she formulates optimal treatment plans for her patients. Dedicated to a practice of only the highest quality, Dr. Lam follows a holistic and ethical approach to dentistry. She is also fluent in Mandarin and Cantonese. 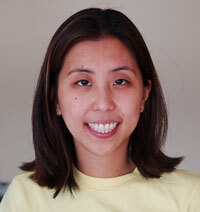 ?When she is not working, Dr. Lam values time with her family and friends, doing yoga, and traveling the world. 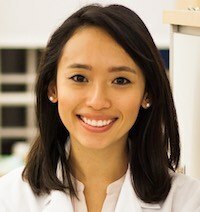 Dr. Rebecca Han grew up in New Jersey, and received her bachelor's degree in Biological Basis in Behavior at the University of Pennsylvania. She continued her education at the University of Medicine and Dentistry in New Jersey (UMDNJ), where she earned her master's degree in biomedical sciences. Afterwards, she returned to the University of Pennsylvania for her DMD, and then spent a year in general practice residency at the Brooklyn Hospital Center, where she received advanced training in many facets of general dentistry including fixed and removable prostheses, root canal therapy, and implant restorations. She strives to practice comprehensive and quality dentistry, always ensuring that all the of her patients’ needs are being met. Her compassion is evident in her gentle bedside manner, as she makes sure her patients feel comfortable and informed. She values the process of educating her patients and is enthusiastic about helping them understand their treatment. Outside the office, Dr. Han loves boxing, the New York restaurant scene, and spending time with family, friends, and her husband. Our friendly Upper West Side dental team can’t wait to welcome you!